East Coast swing is one of the swing dances along with Lindy hop, Carolina shag, jitterbug, Charleston and West Coast swing. The original swing dance was the Lindy hop, which evolved in the 1920’s at the Savoy Ballroom in Harlem. The swing dances were developed by dancers and dance studios originally in response to swing era jazz music. The jitterbug evolved in the 1930’s as a six-count variant of the Lindy hop. The Lindy hop spread across the country and regional variants were developed. Dean Collins arrived in Hollywood in the late 1930’s and learned the different types of swing, traveling back between the East and West coasts. He participated through choreography or by dancing in dozens of Hollywood films in the 1940’s through the 1960’s. Eventually, dance studios and teachers began documenting the swing dances and teaching them to the public. 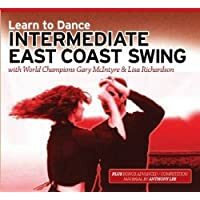 Originally, the East Coast swing was called Eastern swing and the West Coast swing was called Western swing but both names were changed to East and West Coast swing. In the 1940’s and 50’s, the East Coast swing single rhythm was very popular since it works so well with big band and doo-wop type music. Many of the most loved swing tunes come from this era including Tommy Dorsey, Glenn Miller, Elvis Presley, Chuck Berry and many other singers and musicians. Today the East Coast swing is no longer regional but is danced across the globe. It is an umbrella term for three different rhythms: single, delayed single and triple rhythm swing. The generic contemporary form of Lindy hop often incorporates six-count, triple rhythm East Coast swing into the dance. Generally, East Coast swing is done in a circular fashion unlike West Coast, which is a slot dance. The East Coast swing incorporates mostly six-count patterns but occasionally eight count variations are included. Most of the patterns end in a rock step that is used as a breaking action to begin the next movement. Sometimes the different rhythm units are during the same song, for example, a tuck turn might be led and delayed single rhythm is the best rhythm for tucking patterns. 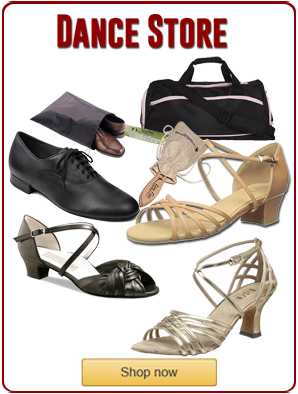 The East Coast swing is still widely taught today by dance studios and swing dance instructors due to its simplicity. It is one of the best forms of swing for the newcomer to dance. Some of the other forms are more complex or danced to faster tempo music like West Coast swing and Lindy hop, respectively.